One of the best part of the holiday season is the anticipation of the big event. 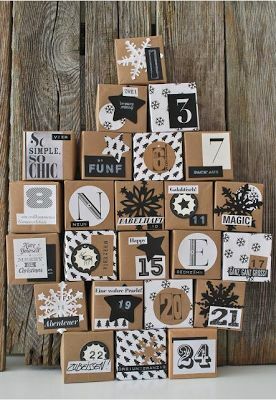 Creating your own DIY tree advent calendar is a fun way to get the entire family involved in the count down to Christmas day. The best part is that it will become a personalized piece that your family will cherish for years. 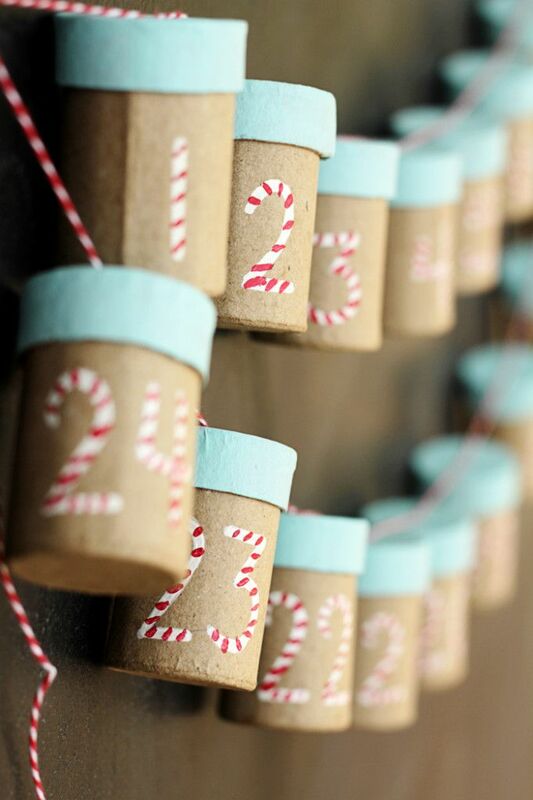 Here are five great reasons you should create your own personalized tree advent calendar. Most of us are looking for ways to make the holiday a little less stressful on our bank accounts. Every penny saved truly does make a difference. 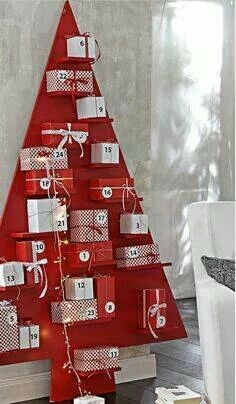 Tree advent calendars can be expensive to purchase, especially since it is an item you will only use once a year. 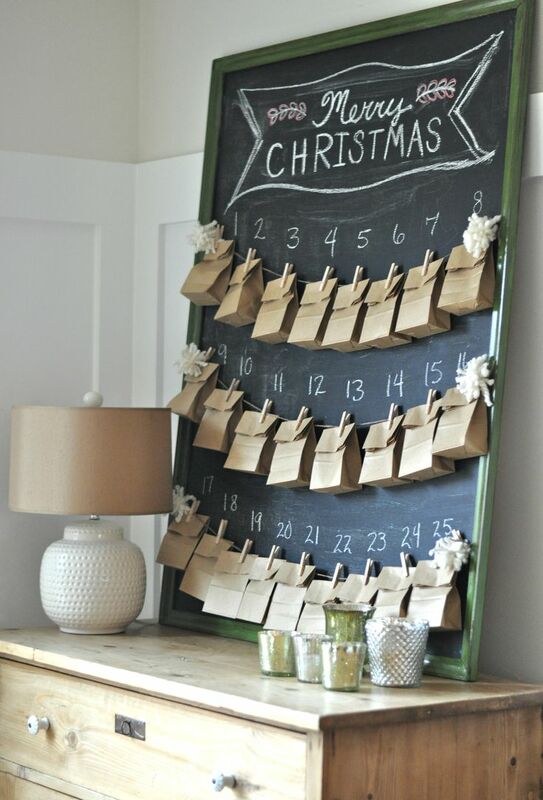 However, you can create your own DIY calendar for about half of what it costs to purchase one. 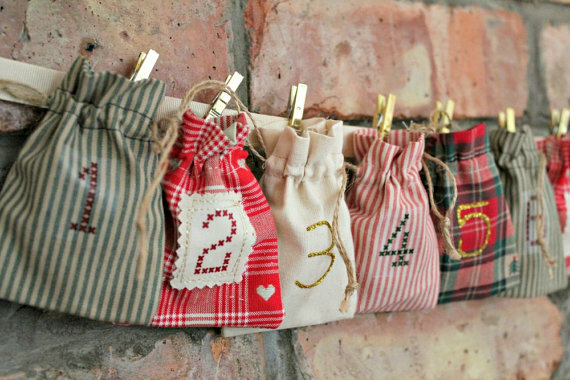 By creating your own advent calendar, the whole family can contribute to the project. It is a great way to set aside special time with children or family. Not only will they have fun helping create this personalized item, but it will make a lasting holiday memory they will always cherish. 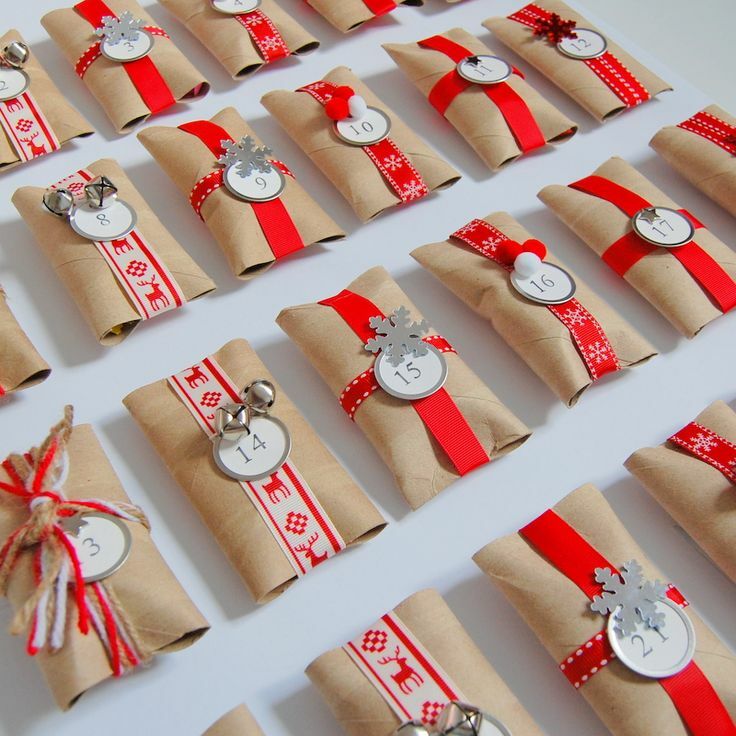 3 It Will Match Your Holiday Theme Perfectly. 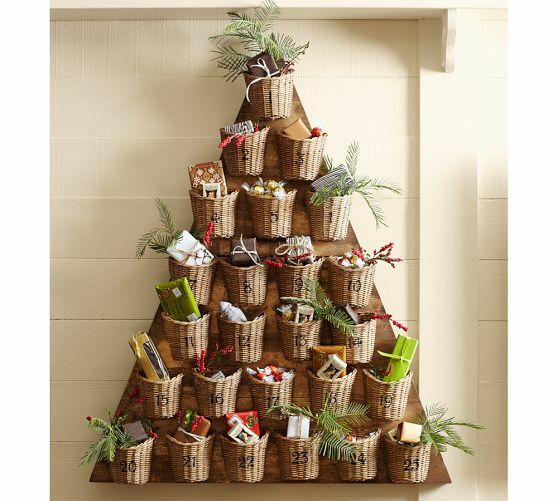 Does your holiday decor have a specific theme? 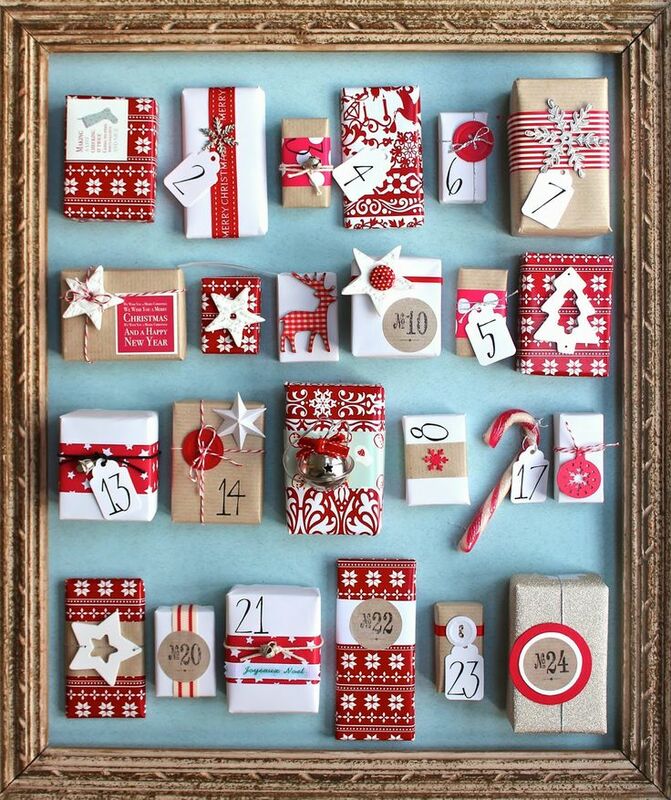 Another reason to make your own tree advent calendar is that you can purchase any material you like. You get to add your own touch of style and flare. 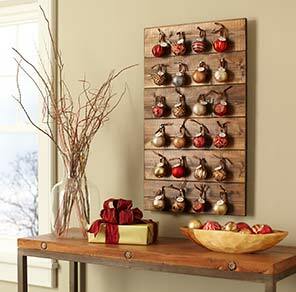 As a result the finished product will match the rest of your holiday decor perfectly. Handmade items always carry more sentimental value than something that is factory made. Since you will be creating this piece yourself, it will symbolize much more to your family. 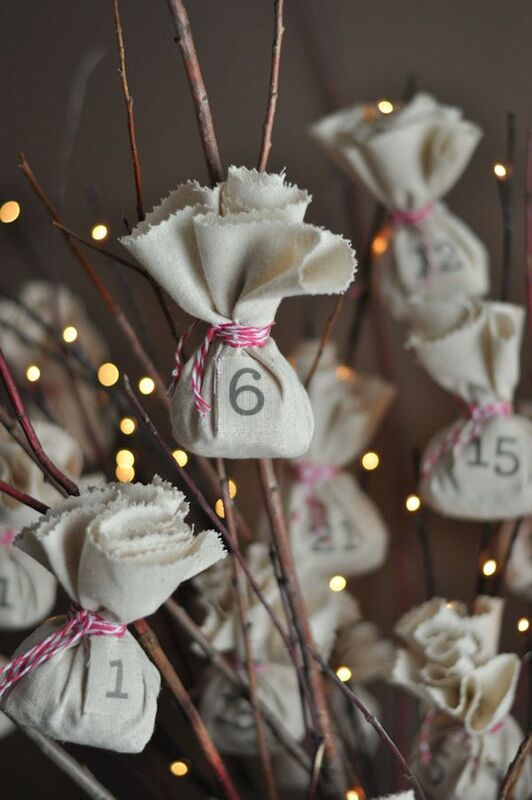 Your DIY Tree Advent Calendar will become a treasure that can be passed down and cherished by others in the future. 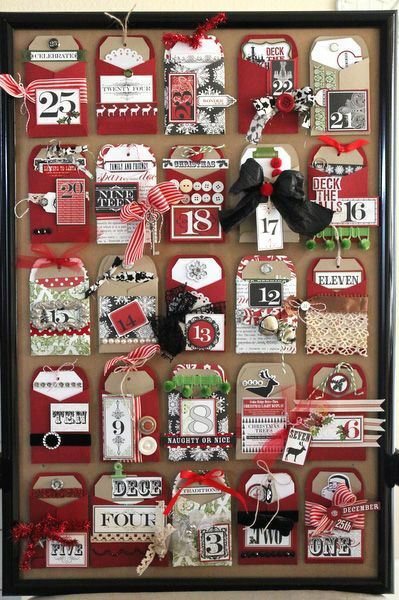 The best part about making your own Christmas advent calendar, is that you have the opportunity to personalize it. 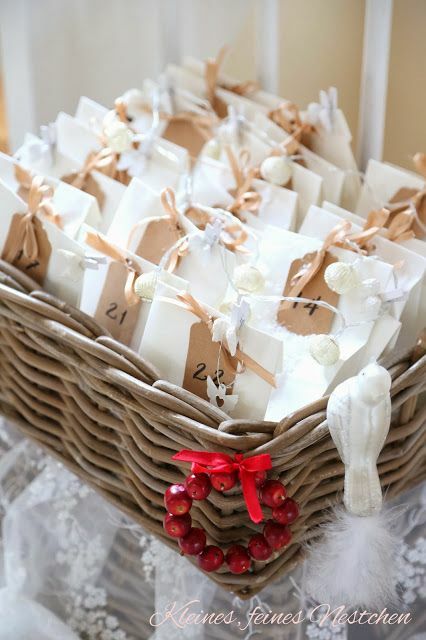 You can add family members names, or purchase trinkets that are special to you or each individual family member. No store bought product will be the same as the one you created specifically for your family. 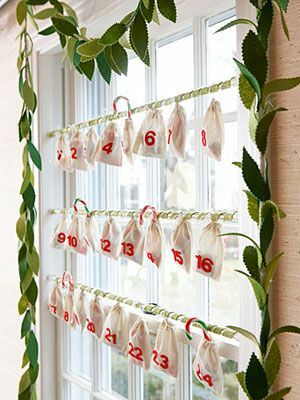 Creating your own tree advent calendar is a great way to save money and get the entire family excited about the holiday season. 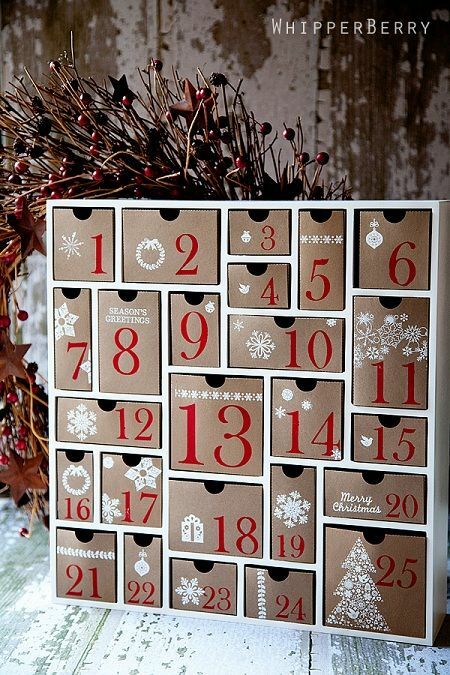 For a fraction of what it costs to purchase one, you can create a personalized calendar that you and your family will love. 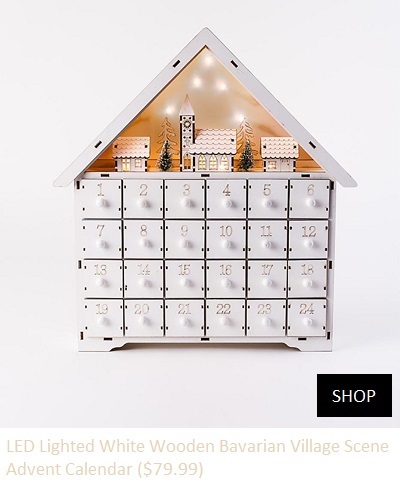 Check out these 37 Christmas Advent Calendars. 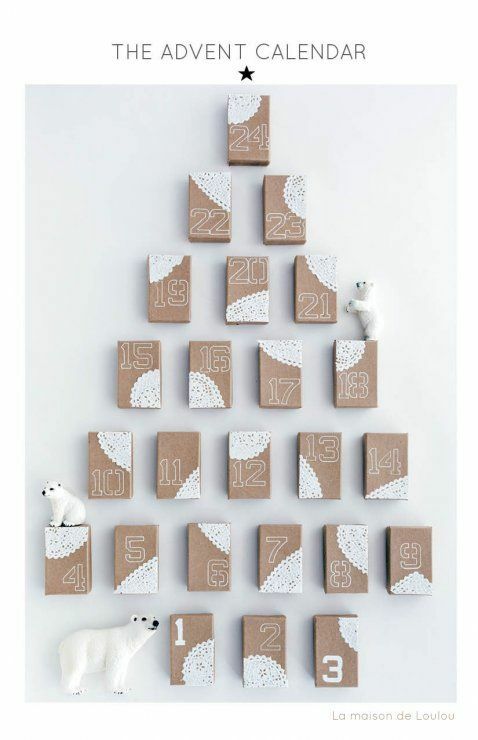 Beautiful and simple advent calendar by la maison de loulou. 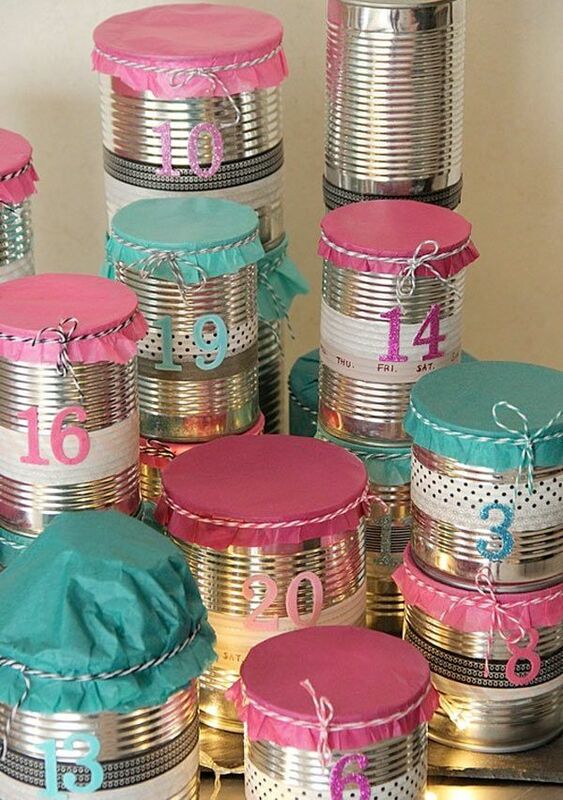 DIY advent calender by La Petite Cuisine. 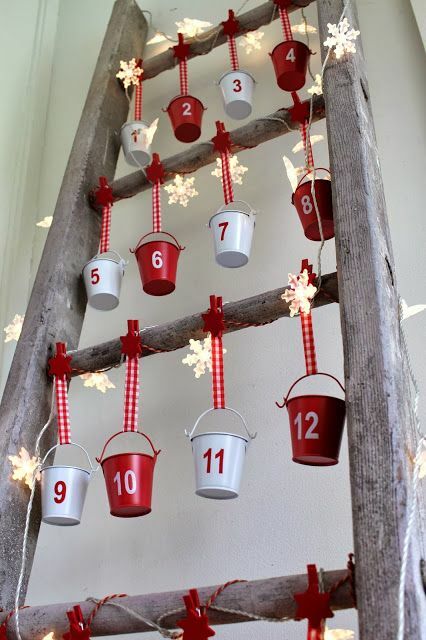 Advent Calendar on a Vintage Ladder For Christmas by Desire Empire. 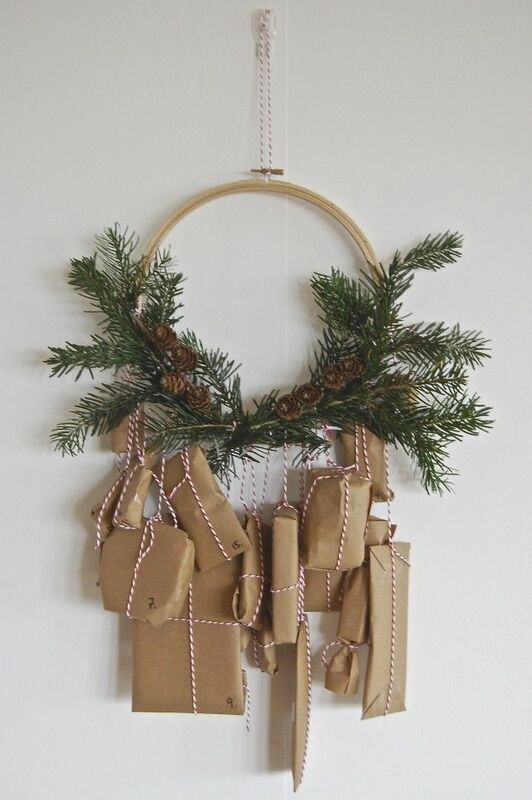 Advent calendar by lapinblu– brown paper packages tied with baker’s twine to a minimalist pine wreath. 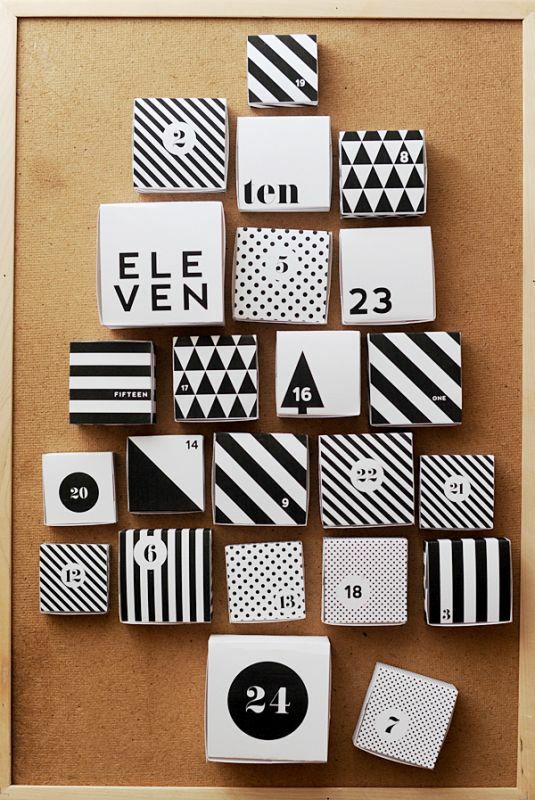 French advent calendar by Petits Points. 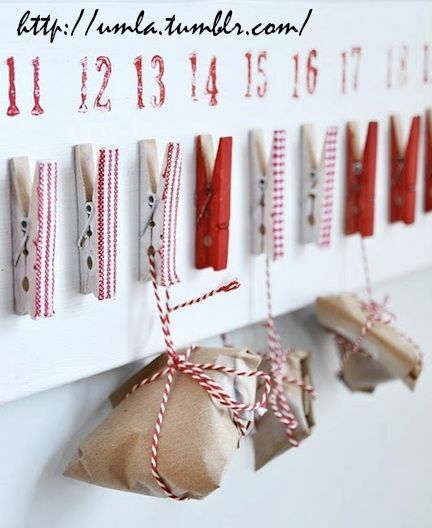 A clothespin Advent Calendar by craft e corner. 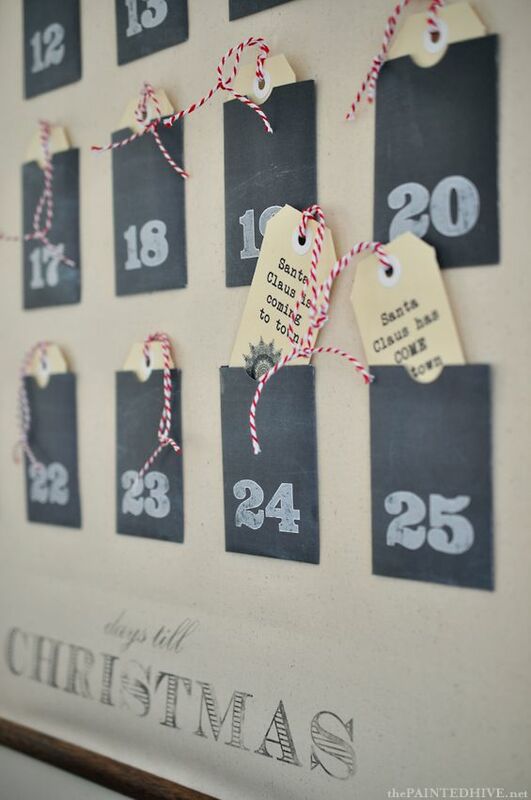 A very simple and resueable calendar by Amy Christie for Design Mom. 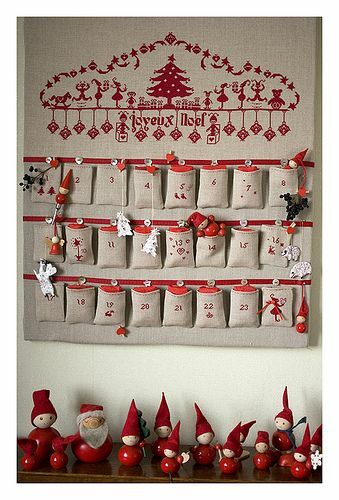 Cute advent calendar by Crafts Unleashed. 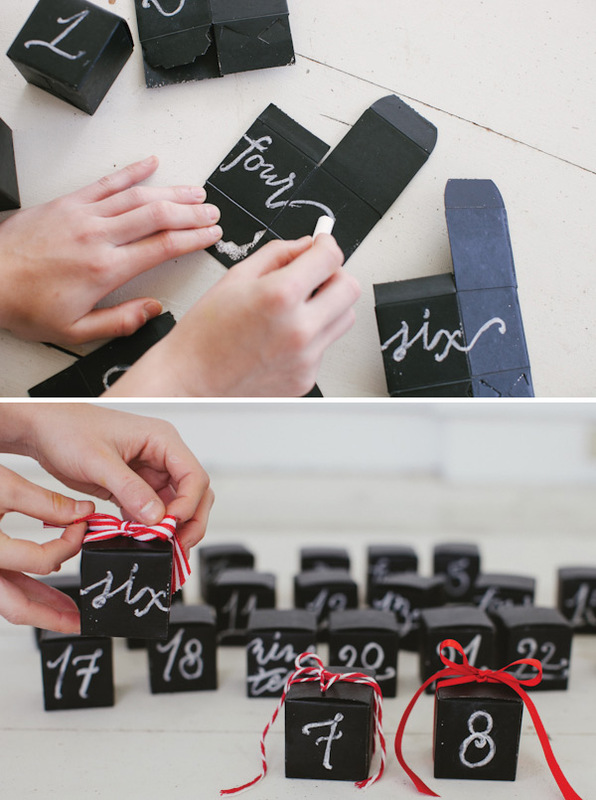 The little tubes are large enough to hold a small candy and/or a rolled up piece of paper with either a scripture reading or seasonal activity prompt. 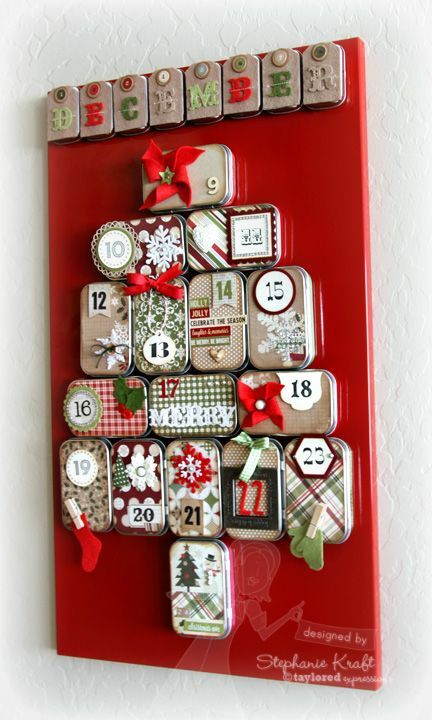 Advent calendar using mini altoid tins by Stephanie. 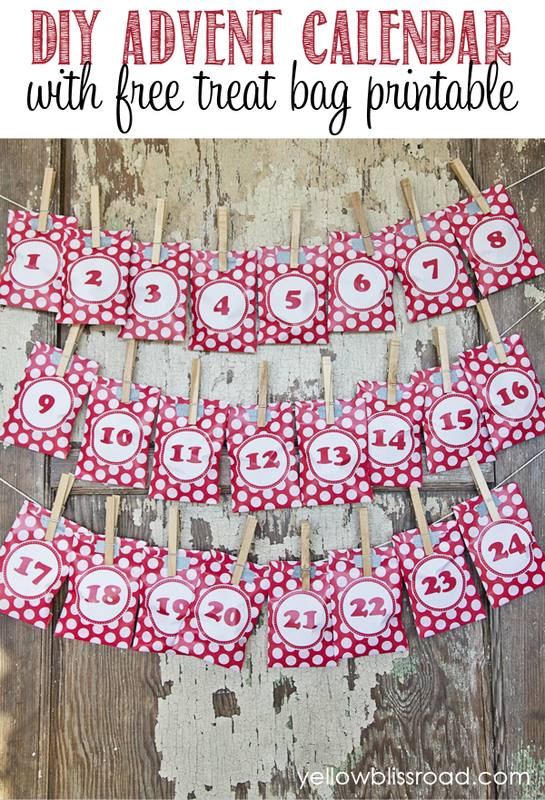 Christmas Advent Calendar Wall Chart (with free printable pockets & tags by The Painted Hive. 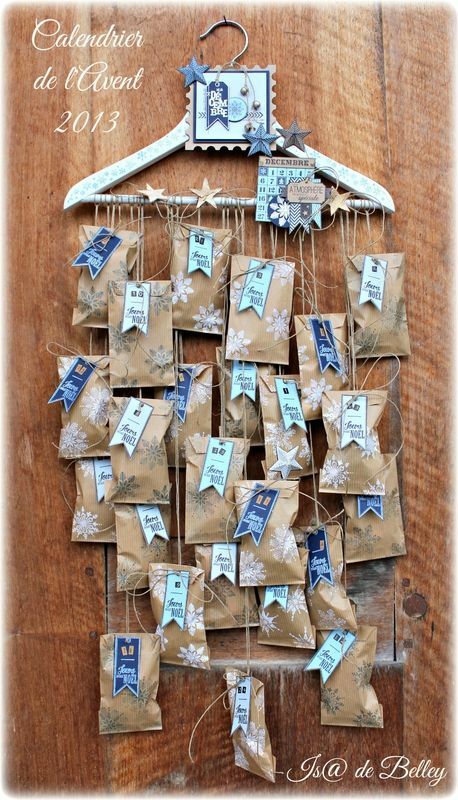 Easy No Sew Burlap Advent Calendar filled with a scripture verse for each day by Finding Home. 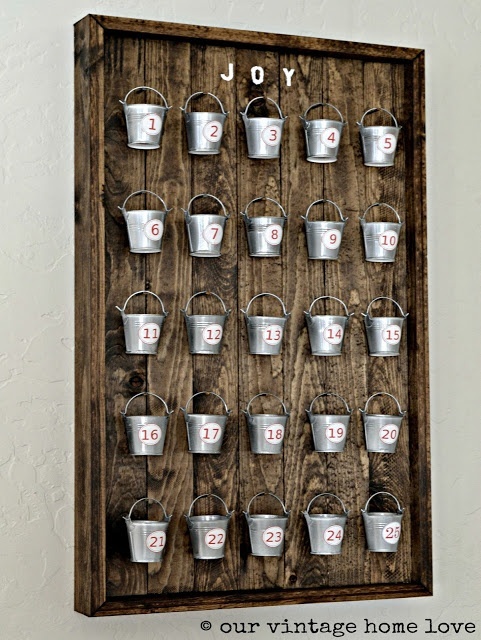 Wood plank and mini bucket advent calendar by Our Vintage Home Love. 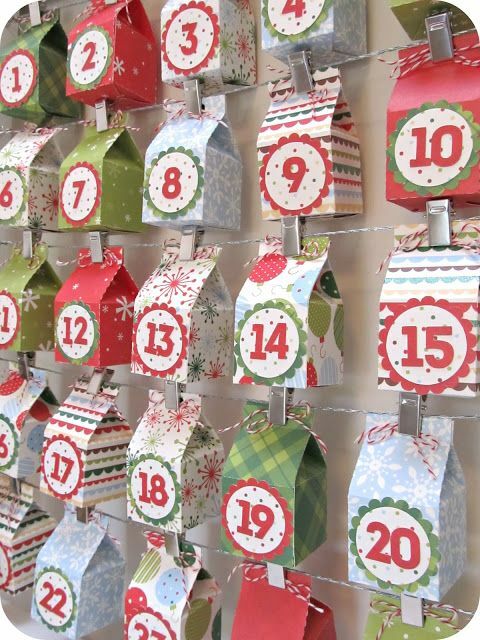 Toilet Paper Roll Advent Calendar. 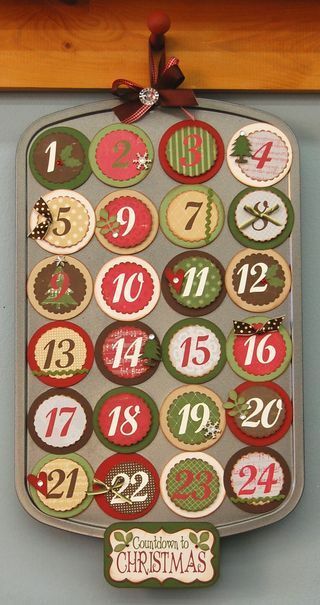 Advent calendar made from a muffin tin and paper, attached with magnets. 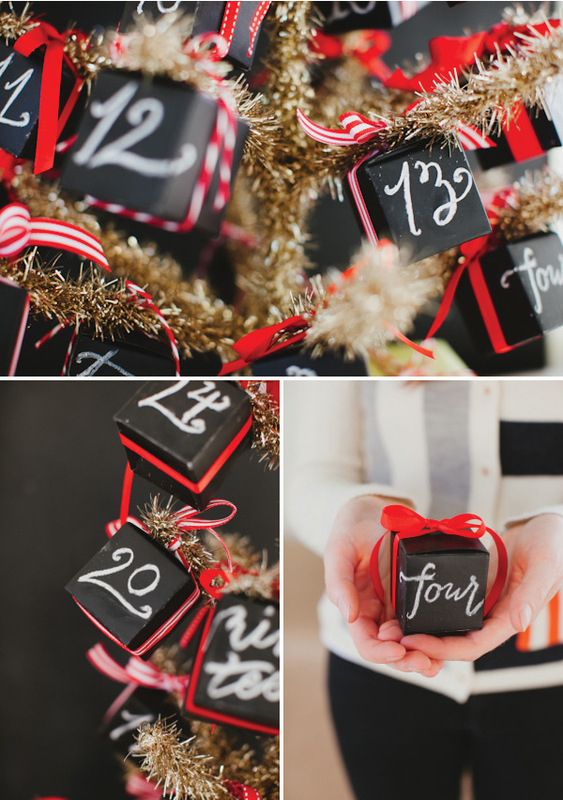 This one involves little boxes and chalkboard paint plus a little tree to hang them on. 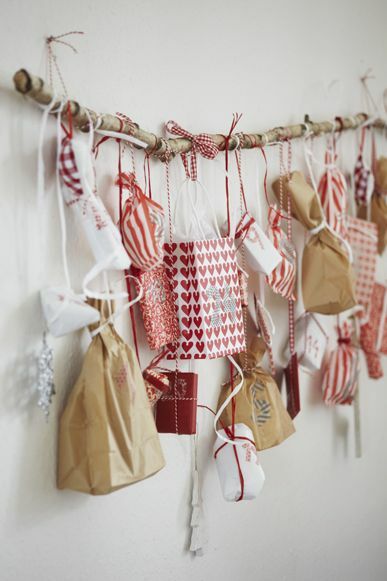 This is super easy and inexpensive to make. You can make the whole thing in about an hour. Find the tutorial on Oh Happy Day. Mini envelopes by A few things from my life. Download and print the calendar by heylook right here. Download the free printable by Yellow Bliss Board here. 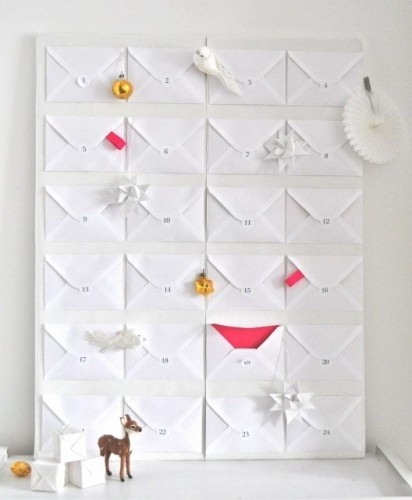 Homemade Advent Calendar using paper rolls by northstory– you could use paper towel rolls cut in half too! 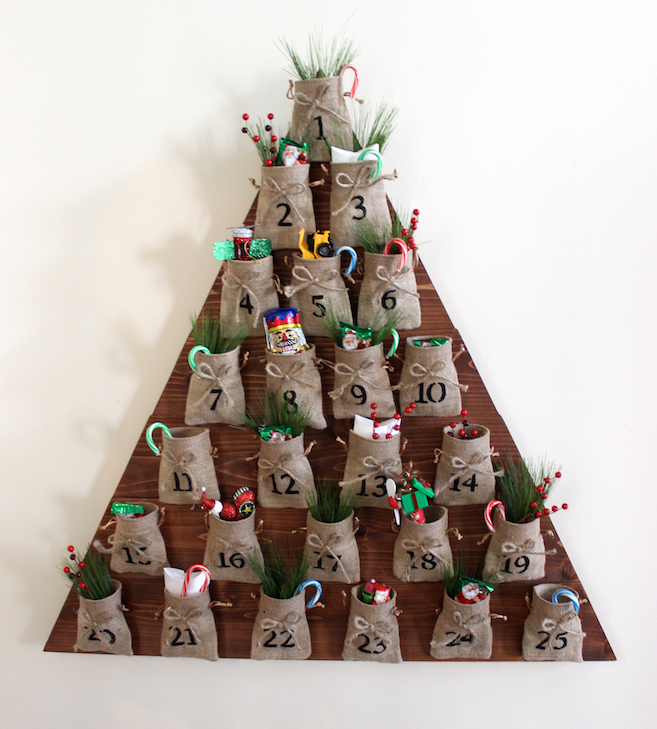 DIY Tree Advent Calendar – Feature by Rogue Engineer. 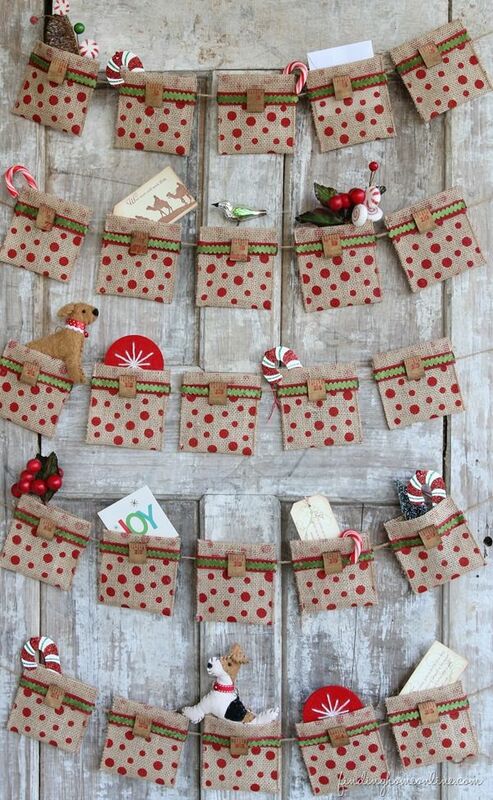 Make an Advent calendar using a wood board, a few decorative ornaments, and paper tags. For tutorial click here.